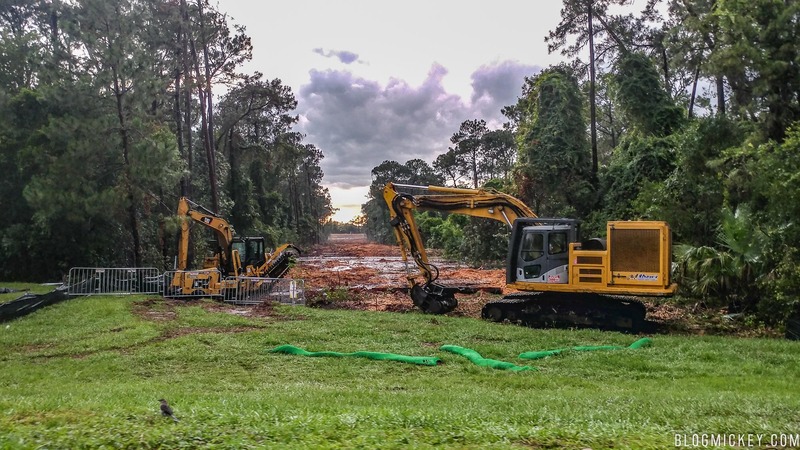 Disney has started to clear the path that will carry the Disney Skyliner system into Disney’s Hollywood Studios. The path leads from what we believe is a maintenance/storage station towards the parking lot. We’ve outlined the path in red and the maintenance building in blue below. 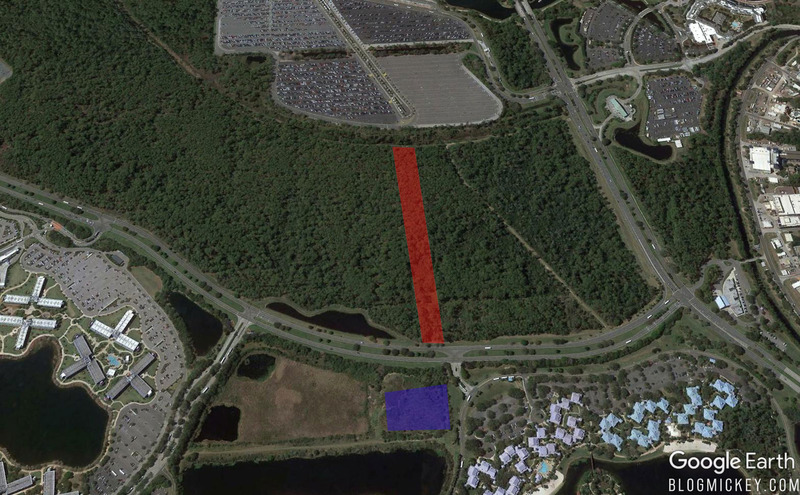 This will also likely be the gondola station for Caribbean Beach Resort. 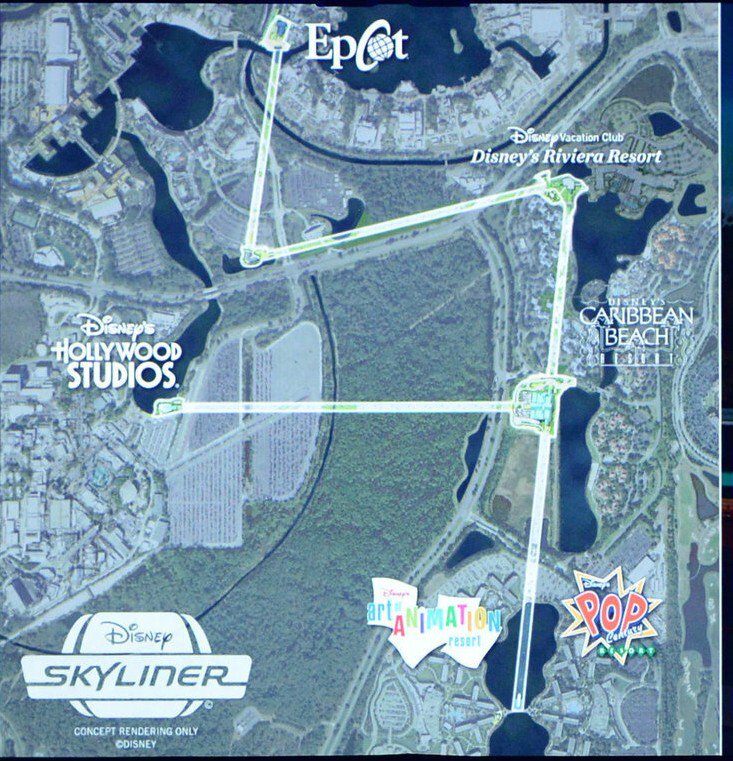 The Disney Skyliner system will connect Pop Century, Caribbean Beach Resort, Disney’s Riviera Resort, Epcot, and Disney’s Hollywood Studios when completed.